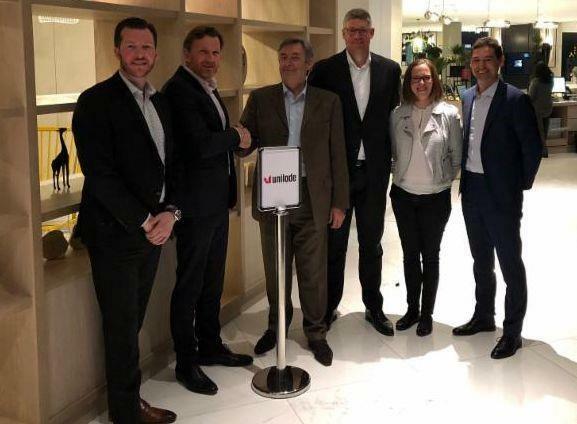 Unit load device management and repair solutions provider Unilode has acquired the assets of AeroNet Services, a specialist ULD maintenance and repair organisation operating in France. Unilode will take over AeroNet Services' repair facilities in Paris Charles de Gaulle and Orly airports and continue to employ AeroNet Services' current staff of 31 people. The repair centres are both EASA- and FAA Part 145-certified. Over 1,000 repairs of containers, pallets, cooltainers, nets and horse stalls are carried out per month at the centre, for airlines, ULD manufacturers and solution providers. “The AeroNet Group will now concentrate on its core business of manufacturing pallet nets, straps and air cargo restraint solutions like pallet fences in its three Part 21-certified factories in France, China and the UAE, and has started marketing its recycling programme for polyester consumables to enhance its customers' sustainability efforts. The AeroNet Services ULD repair teams look forward to working with their new owner and to the integration into Unilode's own ULD MRO network." Benoît Dumont, Unilode CEO, said: "The acquisition of AeroNet Services' repair centres is an important step towards strengthening Unilode's value proposition for ULD management and repair solutions. “AeroNet Services have demonstrated their high quality repair standards during the past few years while they have repaired Unilode's ULDs as a sub-contracted repair partner. We look forward to welcoming the AeroNet Services teams to Unilode and growing our business with ULD repair services offered to airlines flying to and from two of Europe's busiest airports."